Would a regional 911 dispatch center save money? Atascadero and the CSU Board of Trustees have approved a memorandum of understanding on conducting a feasibility study of the proposal. On Tuesday, the Paso Robles City Council will consider approving the memorandum, as well. San Luis Obispo, which initiated the process of studying the possibility of merging dispatch centers, is also expected to approve the memorandum. If approved, the study will determine whether forming a joint powers agreement for a regional dispatch center is feasible and cost effective. 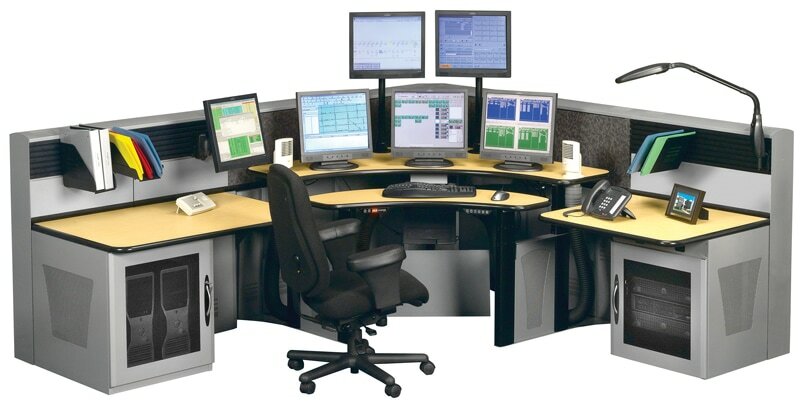 A Paso Robles city staff report states regionalized public safety dispatching is used by many jurisdictions throughout the United States to reduce operating costs associated with personnel, technology and maintenance. The first phase of the feasibility study is expected to cost $126,586. SLO would cover 36.7 percent of the cost of the study, followed by Paso Robles covering 32 percent, Atascadero covering 21.3 percent and Cal Poly covering 10 percent. Over the span of 2015-2017, San Luis Obispo dispatchers received an average of 48,442 calls for service per year. Paso Robles dispatchers received an average of 34,218 calls, Atascadero dispatchers received an average of 28,424 and Cal Poly police received an average of 13,338 calls. There isn’t much savings to be had with regional dispatching. Look at the numbers, combined these towns and Poly would generate more than 124,400 911 calls. They need a study to figure out staffing, and equipment needs. Then they need to figure out each entity’s share of costs and I’d bet dispatchers in SLO get paid better than Paso or Grover people. Morro Bay isn’t saving very much if anything at all by contracting with the Sheriff’s Office. You’ll also have an invisible cost with familiarity of dispatchers and response time. In Morro Bay we run fire department calls through Cal Fire. The Sheriffs Department handles hard line calls from unincorporated areas just have Paso and Atascadero jump in with that Dispatch Center, Templeton too if they like. All cellular 911 calls go to the CHP so that’s covered. SLOPD built a new Dispatch Center behind SLOFD Station One a few years back, see if Grover, Pismo and Shell Beach want to be connected to that and the City has a new source of revenue without expenditure. Territory and ego are going to cause an unneeded layer to be added to the 911 system no doubt. The calling card of the bureaucrat is to declare a problem where none exists and declare themselves the way and the light. Or… they could just contract for with the sheriff’s office for dispatch services like Morro Bay and Arroyo Grande did and save themselves the cost of a new building and attorney’s fees from negotiating between three police chiefs and three city counsels to get a joint powers agreement. That probably won’t happen because SLOPD chief Cantrell wants a new police station and sees a joint dispatch center as a means to getting one. Undoubtedly the cities of Paso Robles and Atascadero, along with Cal Poly, will be expected to cover a quarter each of the new construction cost. I hope this isn’t like the load of crap we were sold when told forming the Five Cities Fire Authority would save us money. It hasn’t and Arroyo Grande’s costs continue to skyrocket with a fully unqualified person, Steve Lieberman, leading the department who was only given the job as a favor in part by former Mayor Ferrara. The only smart option for Arroyo Grande is to leave the FCFA and make sure Lieberman stays with either Grove Beach or Oceano.